Spooky spiders and creepy crawlers might be staples in scary movies, but no family wants these nasty pests to move in. Unfortunately, the hot-but-beautiful climate in California provides perfect conditions for spiders to thrive. Whether you live in the foothills or in an agricultural community with lots of wide open spaces, you're likely to run into spooky spiders from time to time. Here's what you need to know about the most venomous and destructive of these spiders. Which Creepy Spiders are Hiding Out in California? A wide variety of spiders live throughout the mountains and Central Valley areas of California. Grey house spiders, wolf spiders and orb weavers are among the most common and harmless spiders in the area. Of course, California natives and transplants alike generally know that the area is home to some more intimidating species too. Black widows are found throughout the U.S., and California is no exception. Female widows, which pose the biggest venom threat, are dark black with an hourglass-shaped red marking on their abdomens. They live in webs near woodpiles, yard refuse, bushes and other confined spaces. These spiders are often found in outbuildings such as garages, pump houses and sheds. Indoors, black widows tend to choose tightly confined or messy spaces. They may spin webs in air vents, storage spaces and areas that rarely see light. While black widows aren't aggressive, they will bite if they feel threatened. Widow bites can cause significant pain and, in rare cases, can be fatal. It's no wonder Californians are eager to eradicate these spiders when they find them in their homes. The brown recluse is one of the West's most notorious spiders. You may also know these spiders as fiddlebacks because of their unique fiddle-shaped markings. While recluses aren't aggressive, they tend to hide in places that are rarely lighted or cleaned and may bite when disturbed. The bites from these spooky spiders can cause an array of nasty symptoms including nausea, lesions and high fever. Brown recluses multiple quickly, so it's imperative to get an infestation under control right away if you notice these types of spiders in your home. While they might not be as common as black widows or brown recluses, tarantulas do inhabit high desert, mountain and valley areas throughout California. You might encounter tarantulas if you decide to build a new home on fresh land or spend a lot of time exploring desert areas. Tarantulas pack a painful bite, but they aren't dangerous or aggressive. 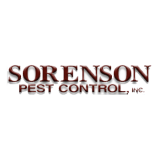 For help with spider control, contact Sorenson Pest Control.